According to the 5th Annual Tork Sustainability Study, 78 percent of American consumers indicate they purchase green products and 43 percent are willing to pay more for those products. A recent study by Forrester indicates that 63 percent of Americans are willing to pay more for environmentally friendly products. 1. Add Sustainability to Your C-Suite. Creating a senior leadership position with environmental accountability will ensure that green initiatives make their way to the board room and will emphasize the importance of those initiatives to everyone in the business. Ensure that this new leader is supported by managers throughout the organization. 2. Research Current Packaging Practices. 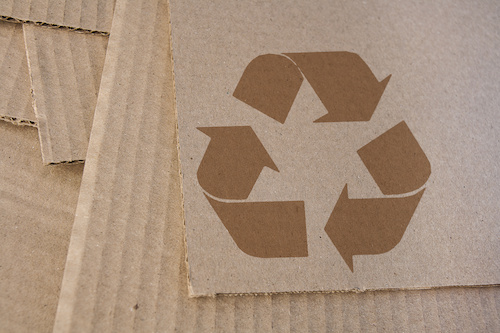 If you plan to market your packaging as eco-friendly, you need to know how sustainable your packaging is at the outset. What is the impact on the environment from current packaging? Where do you obtain your raw materials? You can’t establish meaningful goals before you assess your starting point. Equally important, you can be sure that these are questions you’ll be asked by consumers and the press. 3. Brainstorm New Packaging Concepts. Bring together the research and development department and your marketing team to vet new packaging ideas. Start by looking at what other companies have done to increase sales. New concepts must be cost effective and marketable. 4. Create a Marketing Strategy. Your senior officer and marketing team must decide how you’ll share packaging improvements with customers through strategic marketing initiatives. That includes everything from information about the packaging itself to persuasive proof points. You’ll also want to add content about packaging on your website and develop advertising and inbound strategies, including social media posts. 5. Evaluate Results. Your marketing plan should include measurable outcomes in the form of increased sales. You can’t grow or make necessary adjustments to your marketing plan unless you regularly measure the impact of your new packaging. If you create new packaging for multiple products, be sure to evaluate how each product performs.